A huge range of imaginative strategies for teaching times tables in a flexible and creative way. Reinforce and teach times tables across the different learning styles – enables you to address different pupils’ learning styles. This multi-sensory approach encourages creativity, flexibility and thinking transforming the learning of multiplication facts into a fun and exciting experience! Anytime ideas to start the day, provide a change of pace, whenever you want to get children thinking! John Dabell is an experienced primary teacher, reviewer, writer, consultant and former Ofsted school inspector. Follow John on Twitter and read his blogs for Scholastic here. Nobody should question the fact that having instant recall of multiplication facts is a life skill. Yet persuading young children of the use of such a skill can be quite a challenge – even to the most experienced teacher. So ideas that go beyond chanting and writing down are most welcome. John Dabell’s book is packed full of activities to supplement the understanding of multiplication facts. 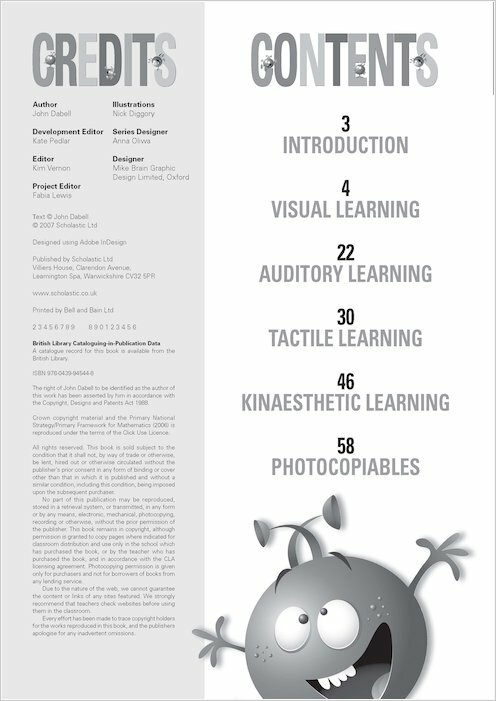 Ideas are varied, appealing to different types of thinkers and learners. Approach varies from individuals, buddies, small group to whole class. Some can be used in a few minutes – perhaps as mental starters or games for the plenary. Others are more involved and could easily form a major part of a lesson. There are even suggestions for how activities may be used outside of formal maths sessions. The book provides a large enough range to accommodate all abilities making it an extremely valuable resource for the whole suggested 7 – 11 age range. It is a resource which all teachers will find invaluable. 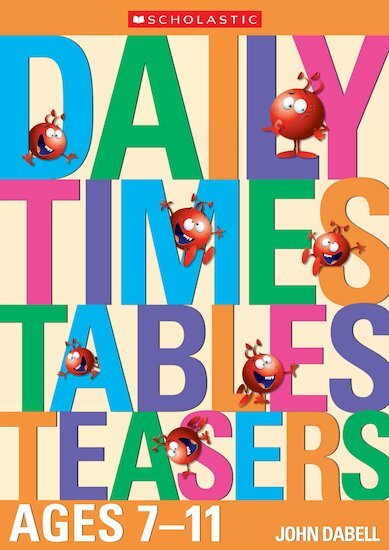 Karen Vive from Binfield C E Primary School takes a look at Daily Times Tables Teasers Ages 7-11 for us. From a busy teacher’s point of view, the layout of the book is simple and extremely helpful. Prompt boxes at the beginning of each activity give clear objectives, indicate preferred learning styles and list resources. Instructions for the activities are straightforward and concise. Many can be used without modification with the children. A particularly useful feature is the extension idea provided with the activities. Grouping the activities according to the type of learning style means a balance over a few sessions is easily achieved. The book provides a large enough range to accommodate all abilities making it an extremely valuable resource for the whole suggested 7 – 11 age range. It is a resource which all teachers will find invaluable.